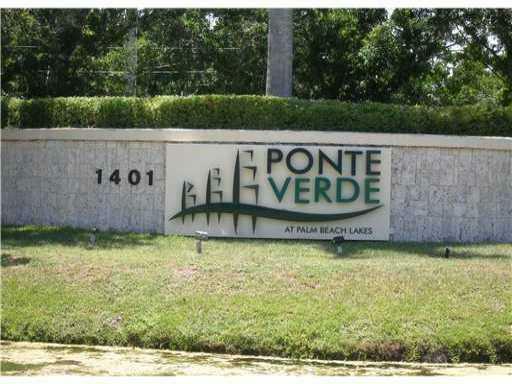 All PONTE VERDE homes currently listed for sale in West Palm Beach as of 04/21/2019 are shown below. You can change the search criteria at any time by pressing the 'Change Search' button below. "GREAT INVESTMENTS UNIT, APARTMENT WITH WASHER & DRYER INSIDE. 24 HOURS SECURITY, COMMUNITY POOL, SPA FITNESS AND BEAUTIFUL CLUBHOUSE. UNIT CLOSE TO SUPERMARKETS, SHOPPING CENTERS. ALL AGES WELCOME. GREAT OPPORTUNITY. UNIT RENTED WITH EXCELLENT TENANT UNTIL 11/9/18, $900 PER MONTH."